blog home Auto Product Liability Contaminated Gas in Atlanta – What Should You Do? If you’ve gotten contaminated gas, you may not know it right away. 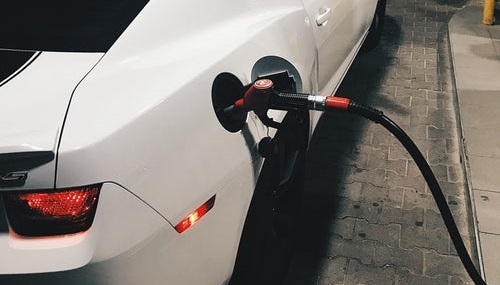 Because water is heavier than gas, the water in the gas will accumulate at the bottom of the tank, so your vehicle won’t stall until your fuel level gets low. This could mean stalling in heavy—or fast—traffic. If water gets into your gas tank, it will cost you more than just getting the tank cleaned out. You’ll also need to pay to have the car towed to a mechanic, and possibly pay for a hotel room while the car is being repaired. And if you’re on your way to work, it may cost you a day’s pay. As you can see, the costs of tainted gas can add up quickly. Getting compensation for water in a gas tank is not easy, but there are a few steps you can take to enhance your chances. In the state of Georgia, the first thing you should do is report the station to the Georgia Department of Agriculture at (800) 282-1123. You’ll also want to contact the Fuel and Measures Office at (404) 656-3605 during normal business hours. Call the station where you purchased the gas. This could save someone else from getting bad gas. Also contact the oil company that supplied the station with the gas. This will help narrow down where the contamination took place. Have the mechanic document, in writing, that contaminated gas was the cause of your vehicle’s breakdown. It’s also a good idea to get a second mechanic’s opinion. Save a sample of the gas for proof and testing. In the unfortunate event that tainted gas has caused your vehicle to crash and injured you, contact the experienced legal team at Grant Law Office. For over 30 years, Grant Law Office has been successfully representing Georgia injury victims, getting them the compensation they deserve. For a free case evaluation with an Atlanta car accident lawyer, call (404) 995-3955 or toll-free (866) 249-5513 today.